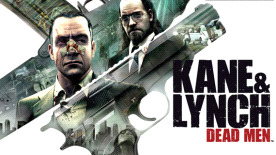 Kane and Lynch: Dead Men is the new action shooter franchise by Io-Interactive, creators of the multi-million selling Hitman series. Kane & Lynch: Dead Men follows the violent and chaotic journey of two men - a flawed mercenary and a medicated psychopath - and their brutal attitude towards right and wrong. This volatile partnership combined with innovative technologies allow for an unparalleled gaming experience. Wide variety of intense 3rd person game play: Rappel from buildings; fire on the run or from moving vehicles; launch surprise attacks, lay down cover fire, and shoot blind from around corners; and hurl smoke, tear, and incendiary grenades. Innovative multi-player levels based on the game's themes for up to eight players.